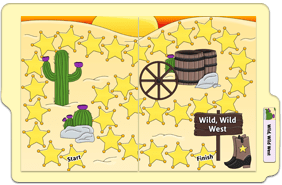 Get your Fun with Phonograms file folder games! Your child will love these FREE printable board games! 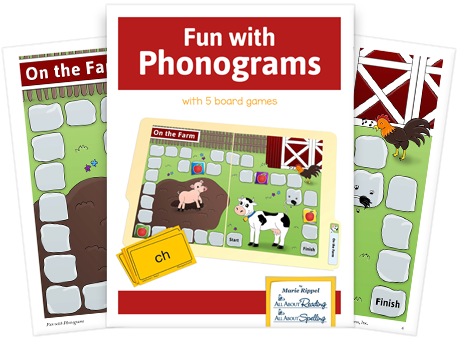 your "Fun with Phonograms" games. Make it a delight to practice phonograms! These printable board games are perfect for hands-on review! 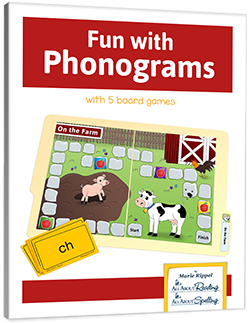 An understanding of phonograms is vital to your child’s success in reading and spelling, so why not make it easy and fun to review Phonogram Cards? These colorful board games take your child on a series of delightful adventures, and offer ample opportunities to practice phonograms too. 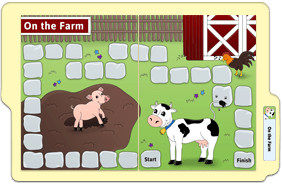 Get ready for some on-the-farm fun with cows, pigs, and phonograms! 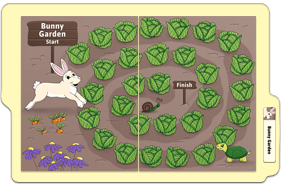 Help this sweet bunny find a path through a delectable garden of vegetables. 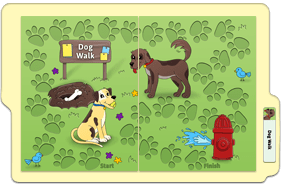 Follow the pawprints for a phonogram-filled walk with these adorable pups! Grab your boots and ten-gallon hat for a cactus-and-tumbleweed adventure. 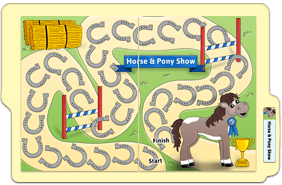 Saddle up for a day at the show and review phonograms as you go along.